Copyright �2004 PopEntertainment.com. All rights reserved. Posted: February 10, 2004. When Joe Mantegna was a student at the Goodman School of Drama in Chicago, he would to pick up a play and turn the page that listed the original cast. It always fascinated him. Who originated these roles? What did they do later? Did they become a star or stay relatively obscure? He always thought that it would be the greatest thing if someday an acting student could open up a book and see his name. All these years later, he has met and surpassed his dream. Mantegna has worked in every aspect of the industry: from acting on stage, television and film to writing, directing and producing. As an actor he won a Tony as real estate salesman Ricky Roma in the Pulitzer-Prize-winning David Mamet play Glengarry Glen Ross. He also played super-agent Bobby Gould in Mamets celebrated Broadway run of Speed-the-Plow (with Ron Silver and Madonna). His long and fruitful relationship with Mamet also led to performances in the play A Life In the Theater and the films House of Games, Things Change and Homicide. Mantegna has been in other terrific films like Searching For Bobby Fisher, Bugsy, Liberty Heights, Queens Logic, Alice and The Godfather Part III. As anyone with such a long career, he also worked in some less-than-brilliant ones (hello, Bodies of Evidence and Babys Day Out.) However, even when the material wasnt really worthy of him, Mantegna's talent stood out. He received raves for playing Dean Martin in the HBO movie The Rat Pack, and was nominated for an an Emmy for starring in the TV mini-series Mario Puzos The Last Don. He wrote the play Bleacher Bums, a tribute to the long-suffering fans of his beloved Chicago Cubs, which has been produced for television twice (in 1979 on PBS and 2002 on Showtime). In 2001, he tried his hand at directing a film version of Mamets Lakeboat. Now he is conquering series television. His show Joan of Arcadia is deservedly one of the biggest hits of the 2003-2004 season. The funny thing is, when he was a kid on the south side of Chicago, Mantegna never even considered acting. He wanted to be a baseball player. In high school, he became obsessed with the movie West Side Story. (In one of those coincidences that make life endlessly entertaining, Russ Tamblyn, one of the stars of that film, is the father of Amber Tamblyn, Joes co-star in the popular series Joan of Arcadia.) When his high school put on a production of West Side Story, they held open auditions. He and a baseball buddy decided to try out on a dare. Mantegna nervously sang to the auditorium. He was blinded by the footlights, so he couldnt tell who was watching or what kind of reaction he was getting. When he finished, there was a nice round of applause. Mantegna didnt get the role, but he got the fever. The real break was playing the king of the salesmen, Ricky Roma, head cheese in a depressed real estate office in Glengarry Glen Ross. With that character, Mantegna was a force of nature. Roma oozed charm and hucksterism. You knew he could con his mother, and you knew that he would too. The role won Mantegna a Tony award. Ironically, some people started thinking that he was that character. As Mantegnas reputation on the stage continued to grow, he began getting supporting roles in films like The Money Pit, Compromising Positions and �Three Amigos! But it was Mamet who provided Mantegna with his film breakthrough, playing con man Mike in House of Games. At that point, Mamet had written several well-received screenplays like The Verdict, The Postman Always Rings Twice and The Untouchables. There was a bidding war for the new screenplay about a psychiatrist who finds herself drawn into the world of con artists. Mamet accepted much less so that he could make his directorial debut. Mamet also resisted the Hollywood idea of populating the film with well-known actors. Instead he used people hed worked with in theater like Mantegna, Lindsay Crouse (Mamets then-wife), J.T. Walsh, William H. Macy and Ricky Jay. At the time, Mantegna wasnt sure if it would strike a nerve. 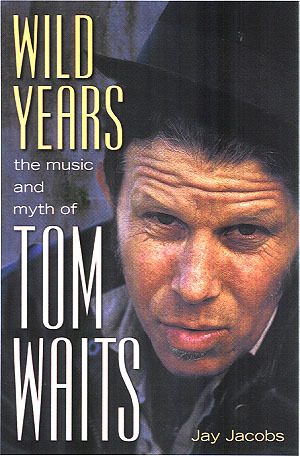 It was a relatively moderate hit when released, but over the years has grown a reputation as a classic. These roles have led to a long and impressive career. Since 1979, Mantegna has appeared in nearly eighty films or TV movies. Mantegna loved the lifestyle; flying into a new city somewhere around the world, moving into a hotel and learning his lines, then moving on to the next project. In the last few years, this life was starting to wear on Mantegna. He was getting tired of living out of a suitcase. He wanted to put down roots. Mantegna thought that it might be time to try doing a series. Mantegna already had some experience in television. Beyond doing many TV movies, he'd done two mini-series of The Last Don and a series of movies for A&E as Robert Parkers well-known detective Spenser. And of course, he had a recurring voice role on The Simpsons as mobster Fat Tony. For years, CBS head honcho Les Moonves had been contacting him every year as pilot season came up. Mantegna always politely declined, but said that he hoped Moonves would still be around when he was ready to make that jump into series work. Mantegna had a long discussion with his good friend, Dennis Franz. For ten seasons, Franz has made a career starring as Detective Andy Sipowicz on NYPD Blue. Franz assured Mantegna that series work was wonderful. So in 2002, when Moonves asked Mantegna if hed be interested in a new series about the Supreme Court called First Monday, he was finally ready. First Monday, which also starred James Garner, Charles Durning and Linda Purl, debuted on the air at about the same time as Sally Fields similarly-themed series The Court. Neither show lasted long. Still, Mantegna got his feet wet. Moonves offered him a development deal. He started working on an idea with a young screenwriter, but that fell apart when the writers contract with a movie studio precluded him from working on the project. Mantegna read some pilot scripts, but none of them really grabbed him. Mantegna decided that he wanted to meet with creator Barbara Hall, who also had written for ER, Chicago Hope, Northern Exposure and had developed the series Judging Amy. That little 49-minute movie was just the beginning. In the series, Mantegna plays Will Girardi, a cop in the fictional city of Arcadia. Will has just moved his family there to become Chief of Police. As much as he relishes being a detective, he hates the politics that go with the new position. He has seen much evil in his job, but he does truly love his family. The family has gone through its share of hardships. 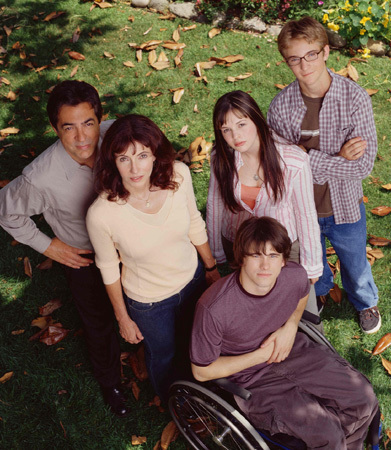 The oldest son, Kevin (Jason Ritter) has been involved in a car crash and been paralyzed. (Actor Ritter looks spookily like his father, late television star John Ritter.) His wife Helen (Mary Steenburgen) has taken a job at the high school, but she is unfulfilled as an artist and her worries and guilt about the accident are causing her a crisis of faith. Youngest son Luke (Michael Welsh) is a brilliant but shy boy who always feels like he is overlooked. Daughter Joan (Amber Tamblyn) is experiencing typical teenage girl problems: peer pressure, body image, high school politics and the like. If her life isnt complicated enough, God starts to visit her and give her cryptic tasks to perform. One of the reasons the show works so well is that they all feel right as a family. The teasing, the petty arguments and the deep love all feel extremely realistic. Mantegna readily credits the sense of truth to the talented ensemble cast. The cool thing about Joan of Arcadia is that although it is a very spiritual show, it is not necessarily a religious one. It does not look at issues with one incontrovertible answer. The show works in the gray areas of existence. It's not all love and beauty. The show does tend to tap into the dark side, mostly through the character of Will and his work. It acknowledges the evil that man does as well as the good. The show does not offer pat answers, but it does try to explore the condition of mankind and therefore find a balance. The show is also takes a somewhat radical turn, because Will and Helen are a long-married couple who still seem very much in love with each other. They have been through a lot together and may fight or disagree, but in the end they know that they will always be there. Were not talking the family-values police idea of a pure all-American family. This is a family that has faults and problems and loves each other because of these foibles, not just despite them. Real individuals like these are welcome in a TV atmosphere where Fear Factor is on at 8:00 at night and Janet Jackson flashes the world at the Super Bowl. Instead, Joan of Arcadia finds its niche by exposing us to a world which is similar to the one many of us inhabit. With fondness and surprising humor, the show explores the dynamics of day-to-day life in the new millennium, with all the complications and benefits involved. It looks at good people trying to make their way in a world that can sometimes be overwhelming, or boring, or confusing. For Mantegna, it is just another interesting twist in a long and respected career. He never wanted to be DeNiro or Schwarzennegger or Gibson. He just wanted to act and do it well. Joe Mantegna is rightfully proud of what he has accomplished over the years. #1 � 2004 Courtesy of CBS Broadcasting, Inc. All rights reserved. #2 � 2004 Courtesy of CBS Broadcasting, Inc. All rights reserved. #3 � 2004 Courtesy of CBS Broadcasting, Inc. All rights reserved.